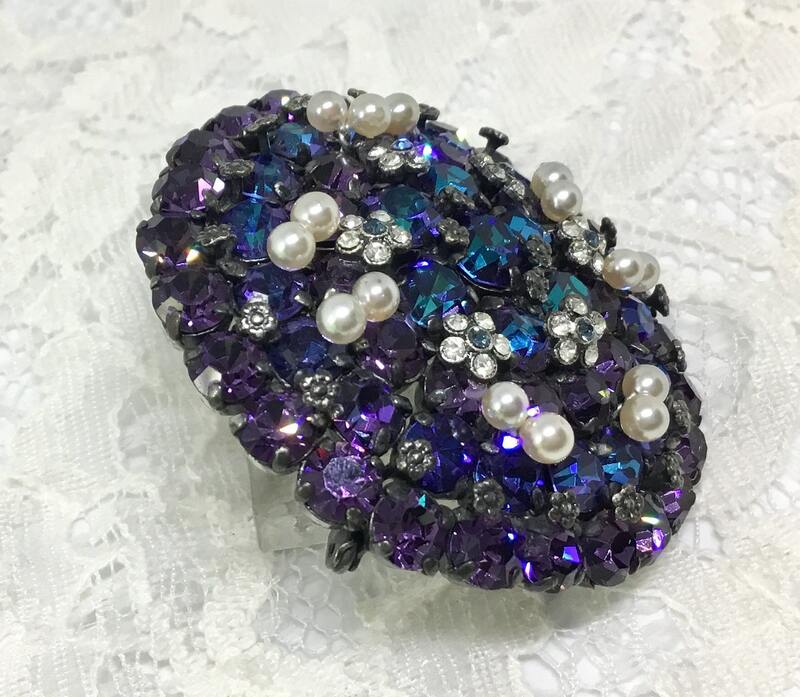 This is an amazing marked vintage 1960s Austrian Crystal Brooch. 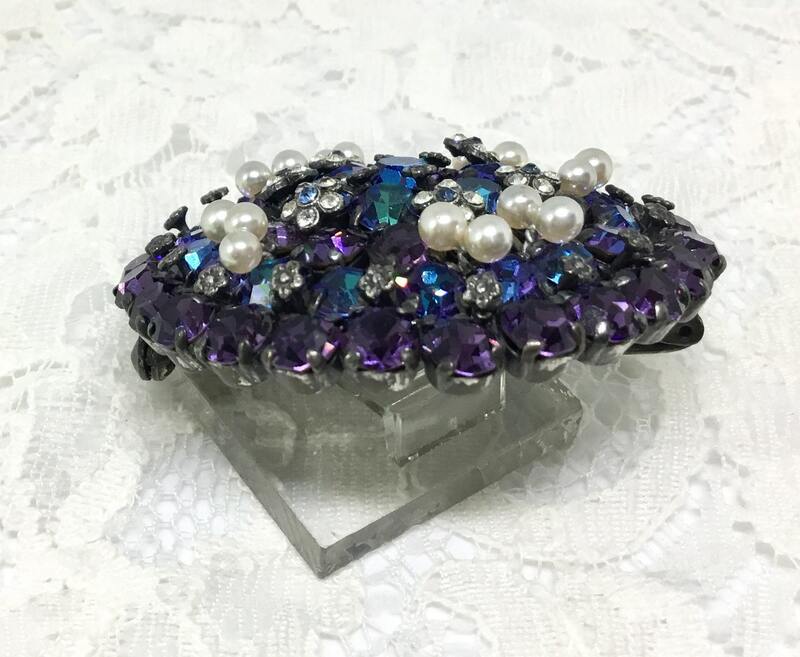 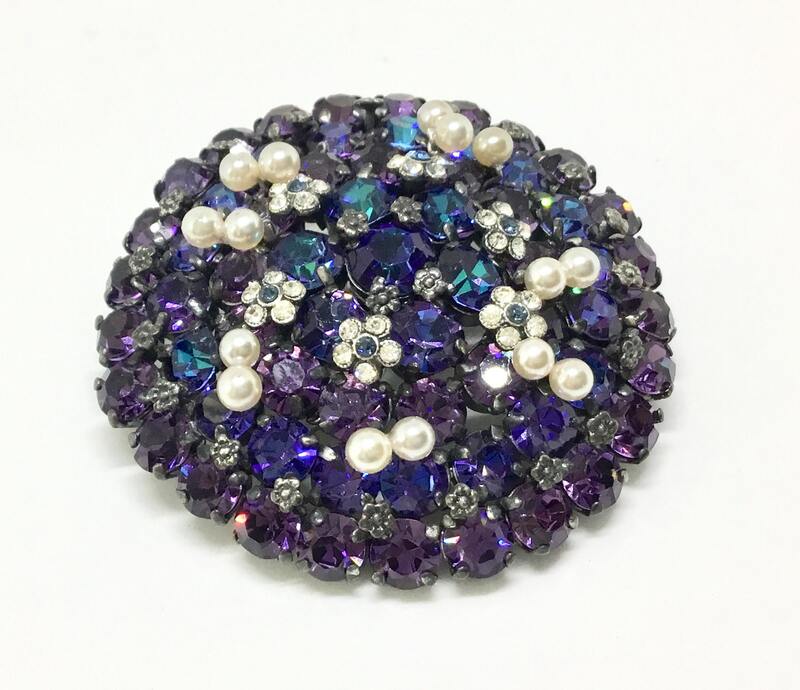 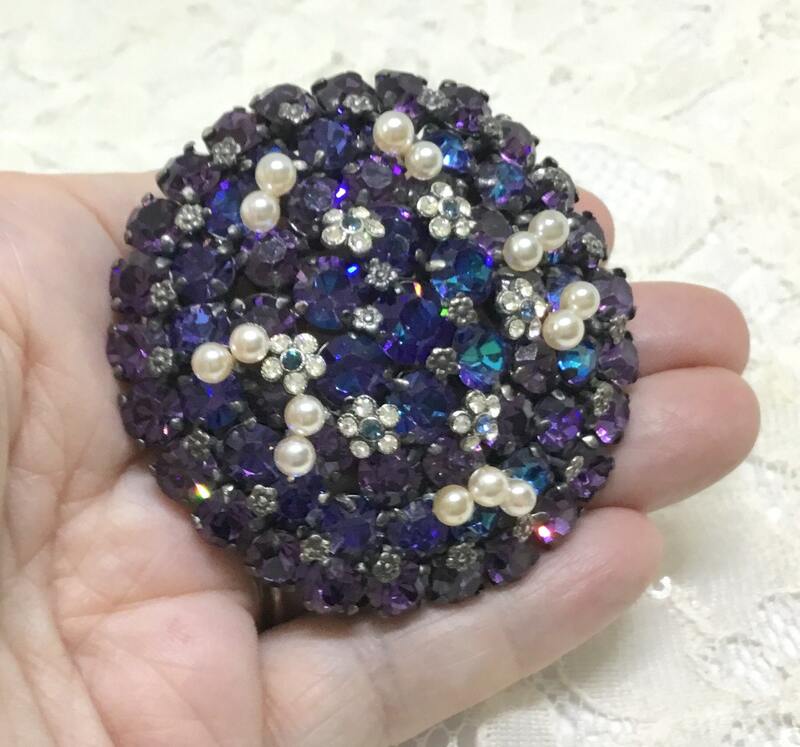 This round beauty features purple and darker AB purple rhinestone crystals with a blue hue, faux pearls, tiny silvertone metal flowers, and six tiny clear and blue crystal flowers. 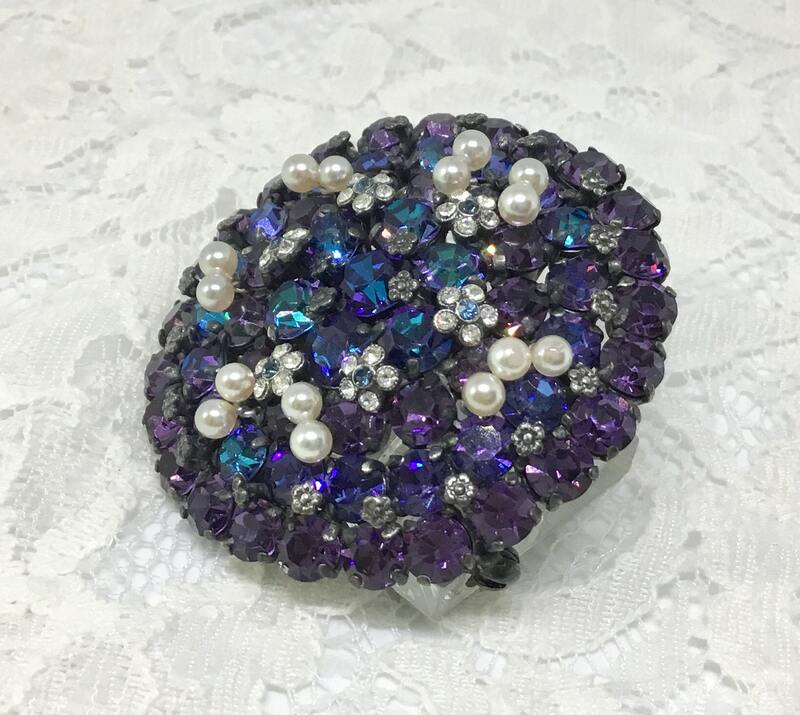 The faux pearls are wired onto the brooch as seen on the back. 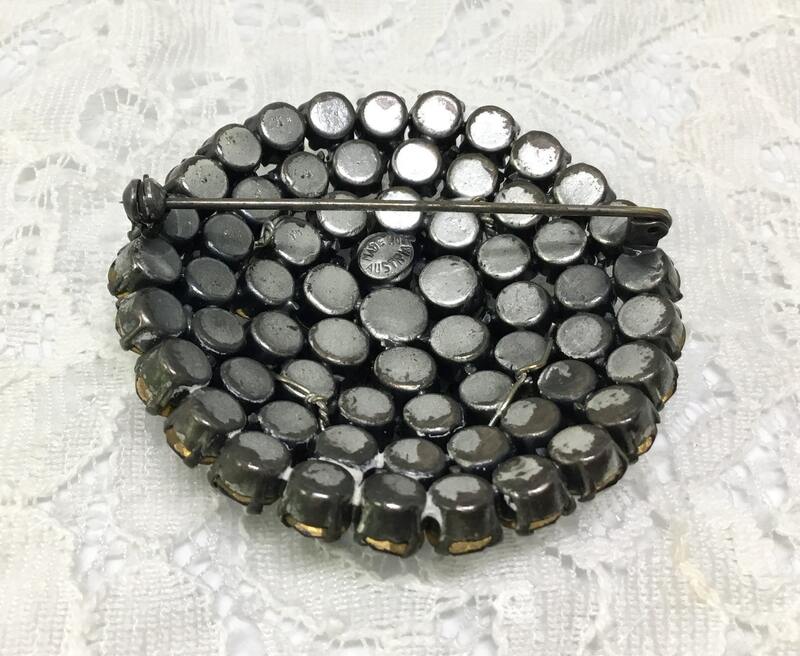 It is marked MADE IN AUSTRIA. 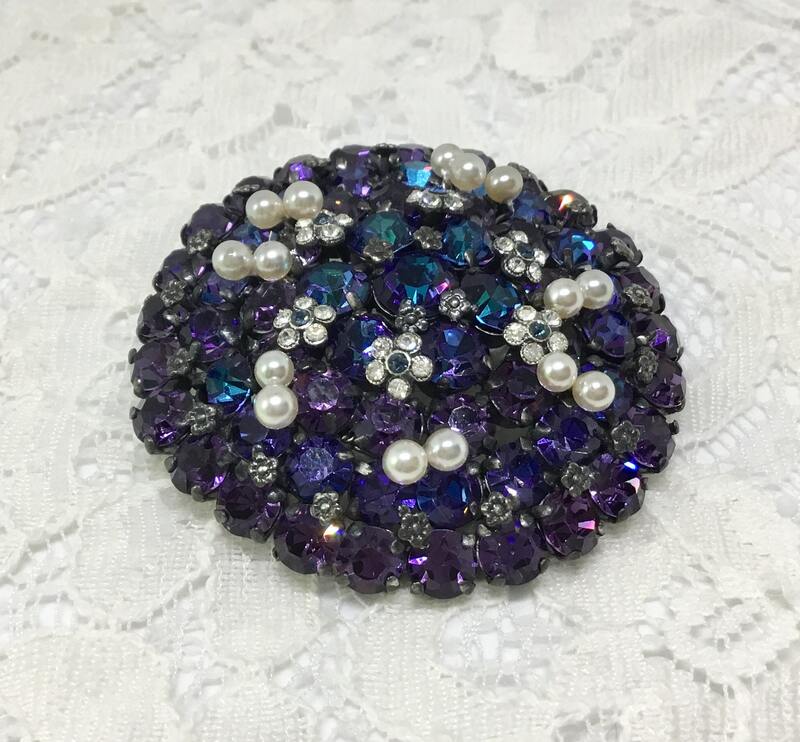 It measures 2 1/4” and the pinback is straight and works smoothly and securely. 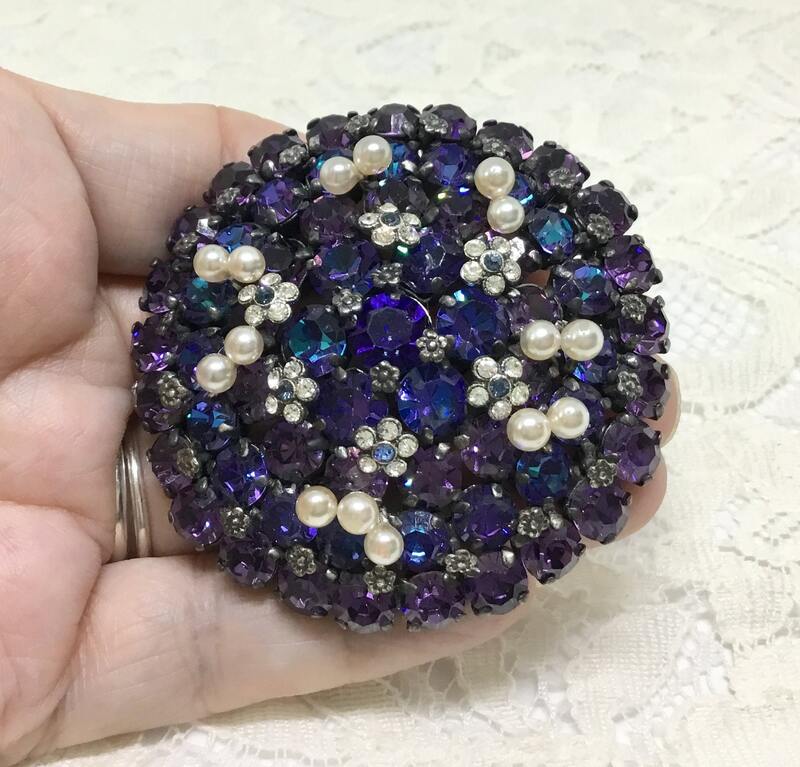 There is some surface wear to the back. 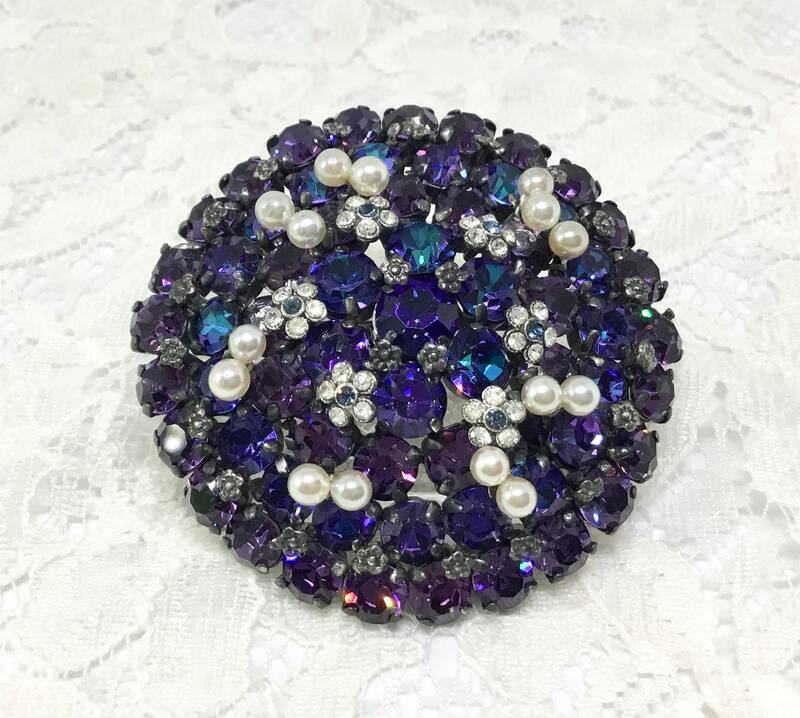 This larger gorgeous brooch would be a great and unique addition to any vintage brooch collection!